Become a SOLIDWORKS Expert with 18 days of training at a special discounted price. Gain in-depth knowledge with our most cost-effective package. Passport courses are recommended to help you prepare for gaining a CSWP (Certified SOLIDWORKS Professional) accreditation. The Using SOLIDWORKS PDM course is only available as a live online class only. The SOLIDWORKS Essentials course can be substituted for a SOLIDWORKS Advanced Update course. The purchase of a Training Passport entitles a single owner to attend public instructor-led courses for the 12 month period that commences on the purchase date. All course attendance must occur within this time frame with no extensions. Passports do not apply to private one-on-one, or on-site training. Passports cannot be combined with any other special offer, are non-refundable and non-transferable (cannot be transferred to another person or shared). There can be no exchanges of courses outside of the Passports and no extension to the 12 month duration. Registering for a course and cancelling late results in the regular cancellation fee. 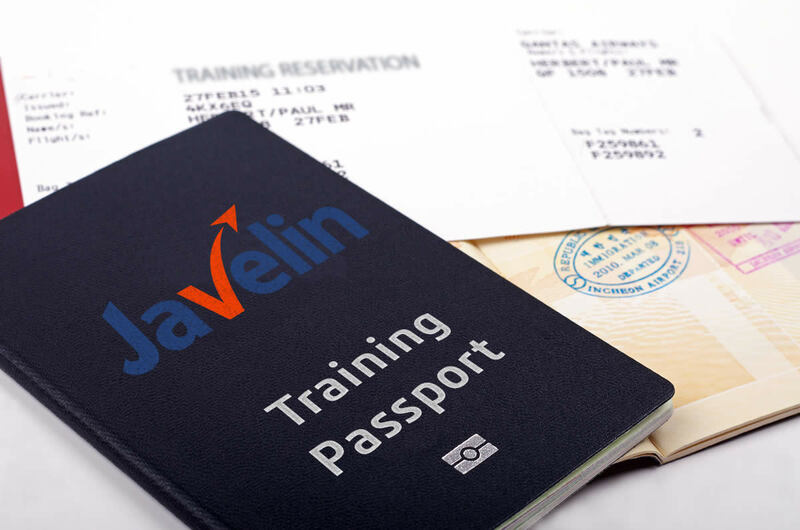 One headset will be provided per passport upon Javelin Online Live Training (JOLT) registration. Cancellations and transfers may be done without cost on or before 10 business days prior to the first day of training. After 10 business days, an administrative fee of $250.00 per person applies. Publicly scheduled course are subject to change. Courses not meeting a minimum attendance requirement are subject to rescheduling. Javelin will provide rescheduling notice at least 10 days prior to the course start date and in such a situation you will be offered a 100% credit for transfer to another date. Manuals for online courses: Training manuals are only provided upon course registration and will be shipped prior to course start date. Manuals for classroom courses: Training manuals are provided during the first day of class.